The Email2Lead extension converts an incoming email to new CRM lead according to customer rules. The extension works with the standard Zoho Crm module "Leads". Zoho Email2Lead extensionsetup includes some setting of email selection and parsing. So you can easily adapt it to your business case. 1. Setup and connect to the IMAP mailbox of your company. 2. Get and Set Zoho API Token. 3. Set email filtering rules. 4. Set email parsing rules. In several minutes new emails will be converted to CRM leads! We are always ready to help you to setup our Zoho CRM extensions. How to map CRM fields? String after keyword - gets the text from the content of an email that follows user's keyword.Set keyword. Set Leads Module Field. The text after the keyword will be written down to the field. Sender email address or 'Sent By' will be passed to the field of Leads Module you set. Email Subject will be passed to the field of Leads Module you set. 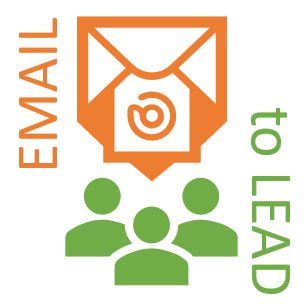 Email text or 'email body' or 'email content' will be passed to the field of Leads Module you set. Any text - use this option to insert any text you want to the field of Leads Module. E.g. name of the parsing rule 'Email from Zoho'. Where can I find IMAP settings for Gmail?